The shrinkage of concrete floors as they dry can cause cracks to occur in awkward positions. The proper design of the screed can ensure that the cracks form where movement joints can be accommodated in the floor coverings, provided that the joints are formed at the right time. Concrete and sand/cement levelling screed shrink as they dry out. Over large areas this shrinkage can be sufficient to crack the screed. Any floor coverings that are laid over these cracks, including stone tiles and slabs, will crack if the screed moves, even if only by a fraction of a millimetre. Therefore, movement joints are incorporated within the floor coverings to allow this slight movement to occur without damaging the floor coverings. Shrinkage cracks that occur ‘naturally’ might occur in an awkward position where it would be difficult to include a movement joint in the floor coverings. And the cracks are unlikely to form in straight lines. One way to prevent cracks from occurring in obtrusive locations is to design stress relief joints into the screed. These are normally formed by cutting a groove into the surface of the screed in a location where a movement joint can be installed in the flooring. The groove acts as a weak point in the screed so that as the screed shrinks, a crack forms at the bottom of the saw cut and continues to the base (Figure 1). 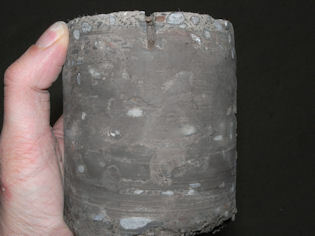 Figure 1: A concrete screed has cracked beneath a saw cut joint, which was subsequently filled with sealant at the surface. In order to ensure that the shrinkage cracks occur at the saw-cut joints, it is necessary to ensure that the cuts are deep enough to weaken the screed. If not cut sufficiently deep, the crack may not form at this position (Figure 2). The screed should be cut to approximately one third of its thickness. Additionally, the saw cuts must be formed before the screed has started to shrink. This may sound obvious, but BRE has investigated countless incidences where the saw cuts were formed after the screed has cured and started to dry. It is possible that some shrinkage cracks initiate at the bottom of the screed and may not be visible on the surface at the time the saw cuts are formed. However, as the cracks have already formed ‘naturally’, the saw cuts would be redundant. The precise timing of cutting the stress relief joints depends on the mix proportions of the screed, the curing time and the drying conditions. 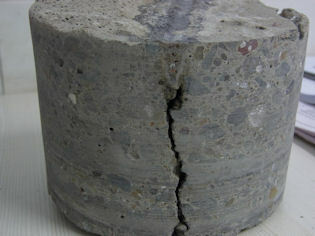 Concrete Society Technical Report 34 recommends that the joints are formed in concrete slabs 24 hours after placing the concrete, i.e. once the concrete is sufficiently hard to be cut with a disc cutter. BS 8204-1 suggests that the optimum window for forming joints in sand/cement screeds will not normally extend beyond three to four weeks. If the screed is covered and allowed to cure for seven days after laying, BRE’s experience suggests that the saw cut joints should be formed as soon as the cover is removed and the drying process starts. The responsibility for ensuring these operations occur is often overlooked on construction sites as the timing typically falls between the screeding contractor leaving site and the flooring contractor arriving on site. In these cases, it becomes the main contractor’s responsibility to ensure that the joints are cut correctly and at the right time. Concrete Society Technical Report 34, Concrete Industrial Ground Floors – A guide to design and construction, 2013. BS 8204-1: 2003 + A1: 2009, Screeds, bases and in situ floorings – Part 1: Concrete bases and cementitious levelling screeds to receive floorings – Code of practice.